Millions of people across England are getting a poor view of the night sky because of light pollution. That's according to the Campaign For Rural England who say that more than half of the UK's stargazers struggle to see more than ten stars at night. 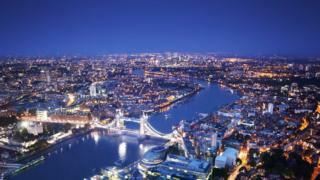 Light pollution is a problem in big towns and cities. It's caused by lamp-posts, buildings and cars. The light they produce makes it difficult to see stars. As part of the experiment, adults and children across the country, in busy areas as well as the countryside were encouraged to look at the constellation Orion. It's only visible during the winter months and stargazers taking part were asked to count how many stars they could see within Orion. Only two-percent of those involved said they experienced "truly dark skies", enabling them to count more than 30 stars. Campaigners now say they want more to be done by the Government, local councils and the general public to reduce the negative effects caused by artificial light. Night time light, can affect our sleep and health. In the environment it can change the behaviour of nocturnal animals - those that are most active at night. Nocturnal migrating birds can be particularly badly affected, although there might be more food for them to eat. Another study found that artificial light is also a threat to crop pollination - an important part of growing food. That's because insects get confused by the light at night, when they'd normally help to pollinate plants. It could even affect things like the seasons as scientific research has shown that trees, in more brightly lit areas, open their buds up to a week earlier than trees in areas without this kind of lighting. Emma Marrington, who is a dark skies campaigner at the Campaign For Rural England says: "Without intervention, our night sky will continue to be lost under a veil of artificial light, to the detriment of our own health, and the health of the natural world. "The Star Count results show just how far reaching the glow from street lights and buildings can be seen." 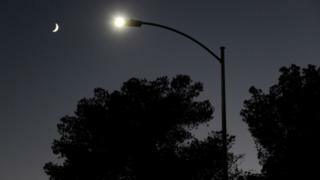 She added that better-designed lighting, schemes to dim street lighting and to only have them turned on at certain times, might be a potential solution in reducing the damage caused by light pollution.